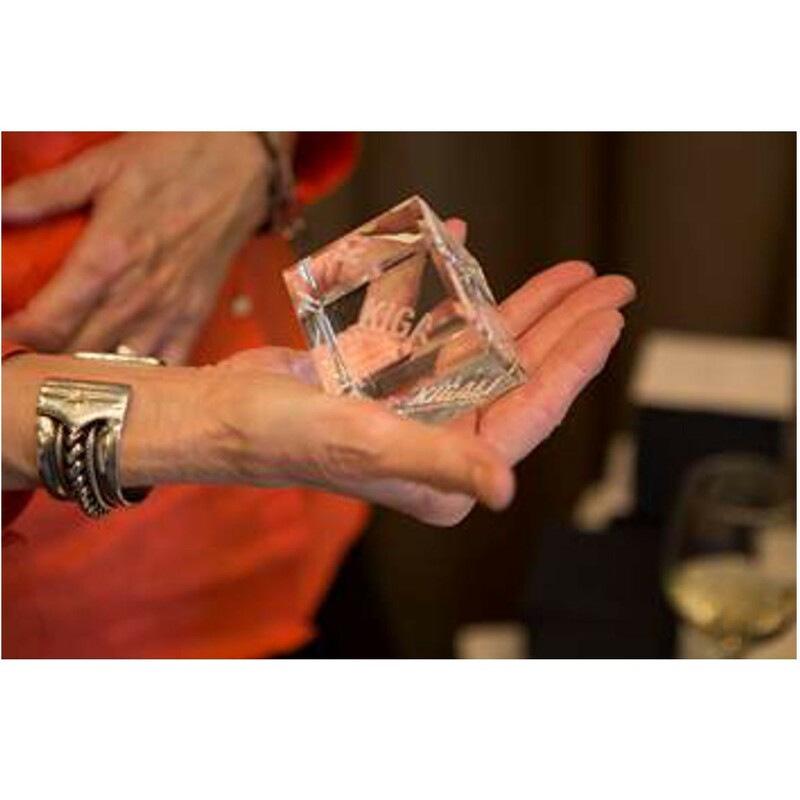 Brighten up a deserving employee and their desk with the Beveled Crystal Cube Award! 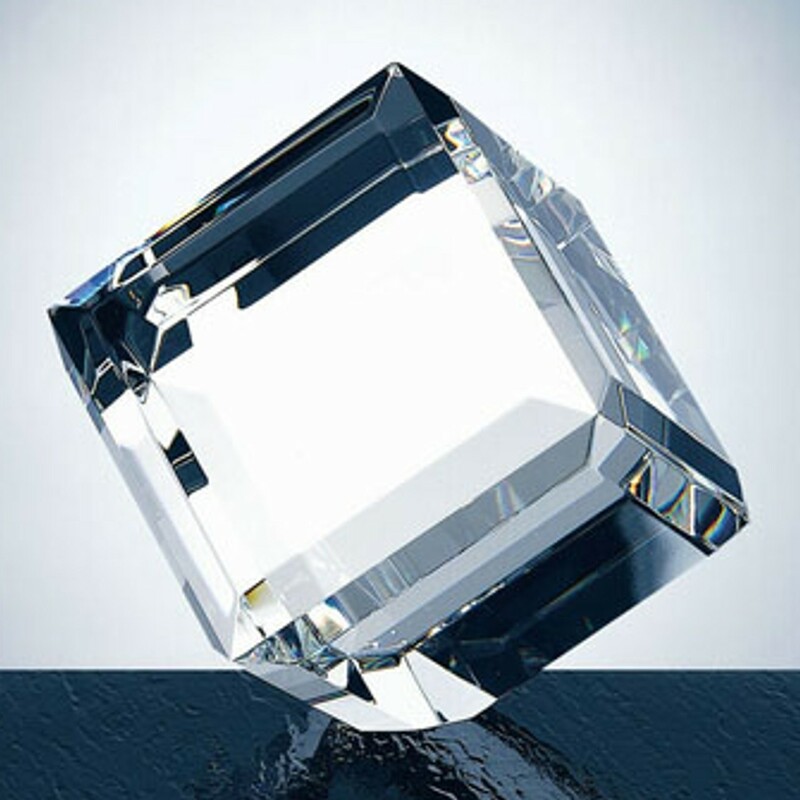 This beautiful ice block shaped solid crystal piece had elegant beveled edges to help catch the light. Your engraving with be done in a frosted white. 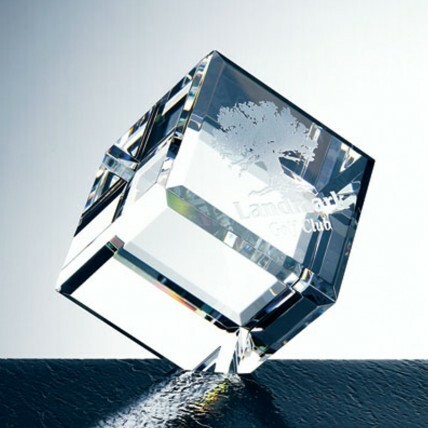 With up to three lines for etching, this cube is perfect for a few encouraging words or a company logo! 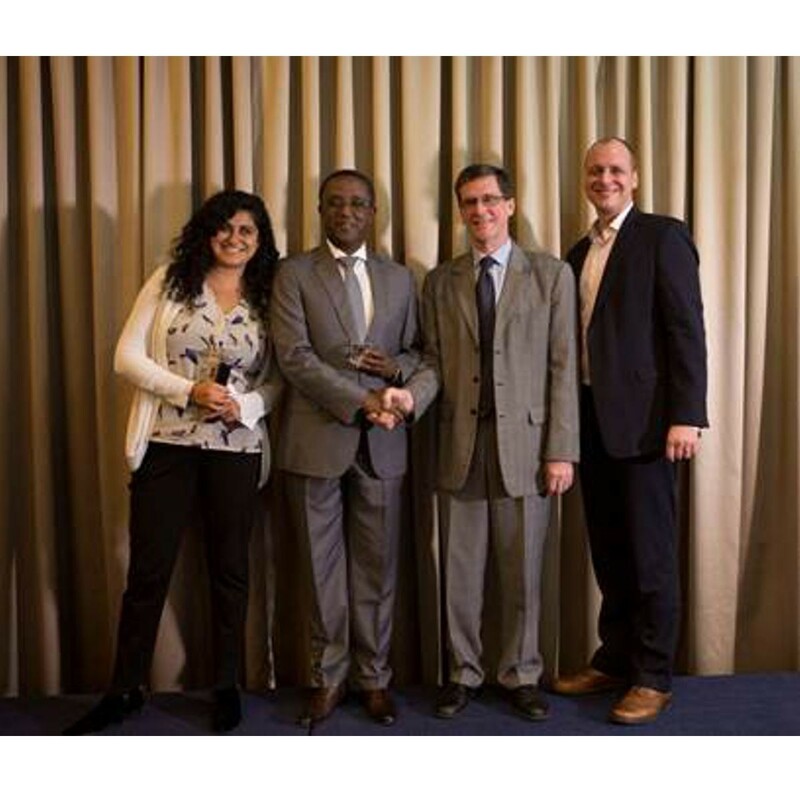 Available in three sizes: 2", 2.5" and 2.75". Small: 2. ",Medium: 2.5", Large: 2.75"
Small: 1"x1", Medium: 1.75"x1.75", Large: 2"x2."